Was The Pak-Ireland Match Fixed? Did the Pakistan coach have an inside take on the loss to Ireland that may have worried the match-fixing mafia? The Faith over the pitch. 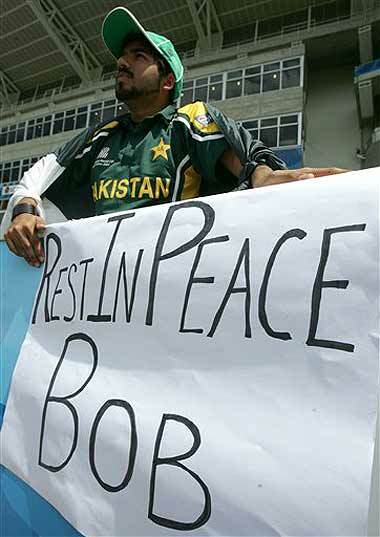 The Pakistan team is riven over the players' souls. 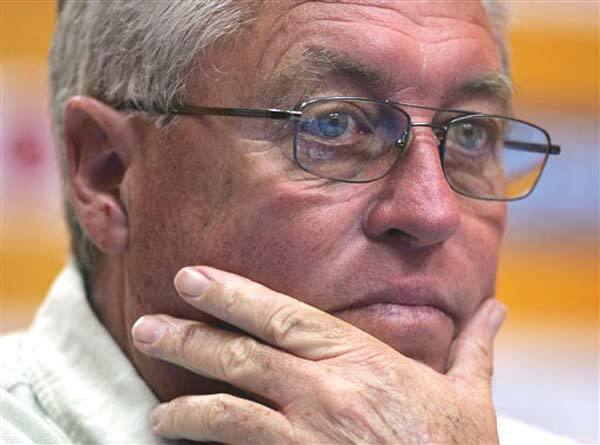 The former coach of South Africa is known to be one of the foremost thinkers of the game. 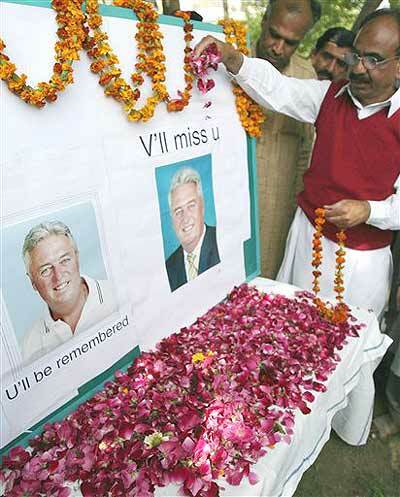 Did Pakistani cricket coach Bob Woolmer's criticism of the growing influence of the Tablighi Jamaat of Pakistan on many players of the Pakistani cricket team contribute to his brutal murder? 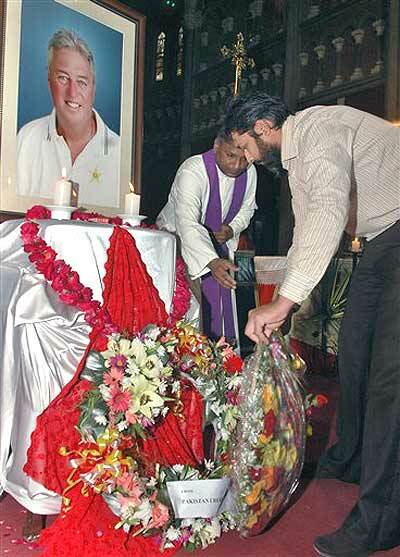 Less than 24 hours of Pakistan's inglorious exit from the World Cup, a pall of gloom enveloped the tournament and the team following the sudden death of its larger-than-life coach. To win one-day internationals, it is important to have three-dimensional cricketers in the team, not bits and pieces players. Sehwag must come close to resembling a modern day genius because of his unerring and unnerving ability like Sir Donald to manhandle Test match bowlers and make them look like pop gun attacks. What Is A Coach There For? You can't deny him (coach) from communicating better (on-ground) with his team. Otherwise what is he there for? 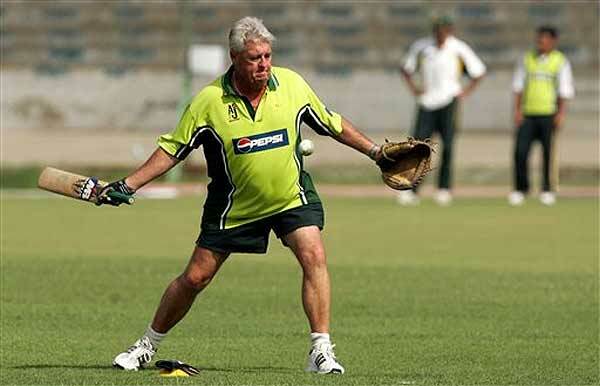 To pick balls, lay down the stumps, give catching practice and ensure that drinks and towels are in place?